Amie is Colorado raised, which created her deep knowledge and passion for Denver and the surrounding areas. After receiving her license, Amie began combining her knowledge of the rapid changing real estate market with her background in interior design to assist clients selling and purchasing homes in the Denver metropolitan area. Coming from a design background, Amie is a valuable asset to buyers looking to purchase a property in this low inventory market. She is able to help buyers see the design possibilities in homes that may typically be overlooked. This unique style has assisted hundreds of individuals in realizing a near "perfect" home to live in with significant gains in equity after suggested improvements. Amie prides herself on her clients loyalty and praise. More than 90% of new business comes from past clients, friends, and family trusting her enough to refer her to their friends and family. Click here to read client referrals for yourself. 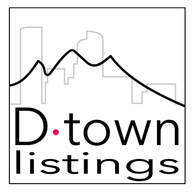 D-Town Listings is waiting for your call, in order to turn your dreams into reality. Let us begin with a complimentary consultation or home assessment! With a deep rooted background in architecture and construction, Ty lends valuable knowledge to D Town Listings buyers and sellers. He is able to guide our clients through the process of seeing a home's full potential. Ty is the advisor for inspection resolution items for both buyers and sellers. He is well versed in building history (techniques and materials) as well as current building codes and municipal zoning rules. For several years, Ty sat on the Board of Appeals for the City of Lakewood to rule in cases of building disputes, lending to an even fuller picture of housing and buildings in general. For sellers, Ty handles much of the staging and also does light "preinspections" (by request) to advise on items needing to be repaired or replaced before they become costly items during inspection resolution between buyers and sellers. This equates to more money in the sellers pocket and quicker sales overall. Ty also produces floor plan layouts for the more complicated homes for potential buyers to understand the layout.